Photo courtesy of NZ Harness News. A working holiday down under turned into a successful weekend out on New Zealand’s South Island for Hall of Fame driver, David Miller. Miller has been in New Zealand for the past few weeks checking out the sights and through connections managed to pick up a number of drives in both Islands while here. 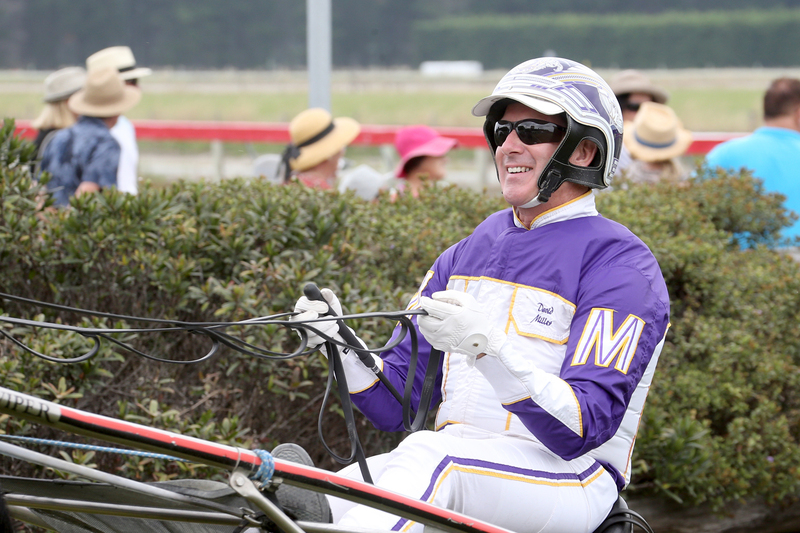 He got on the board with success at Addington on Friday night before repeating the dose at Motukarara on Sunday. Sunday’s effort was a unique experience for the champion reinsman as he had never driven on a grass track surface before, but found his feet quickly winning the opening race of the day with the Tim Trathen-trained Speedy Command. David Miller won the opening race of the day with Speedy Command, despite never having driven on the turf before. 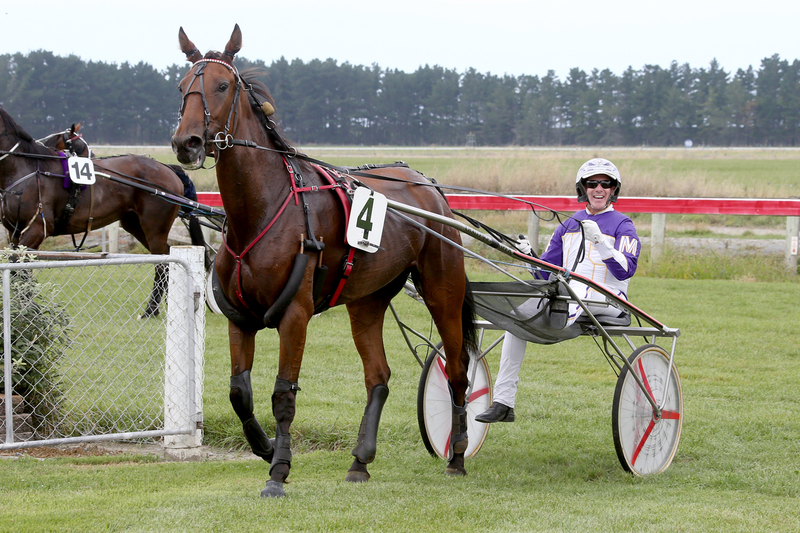 NZ Harness News photo. “It was a really great experience and completely different from what I’m used to, that’s for sure,” Miller said. Miller said he was somewhat surprised at how similar the majority of the racing in New Zealand was to what it was back in his homeland – with the exception, of course, of the grass track. “The other tracks that I’ve driven at while I’ve been here, there hasn’t been a lot of difference in the way the races are run and how they feel to what it is like back home which has obviously helped me adjust a wee bit. Miller had a good strong contingent with him while on tour and they were as vocal as anyone when he manged to get Speedy Command past the post first in the maiden trot. David Miller and Speedy Command return to the winner’s circle. 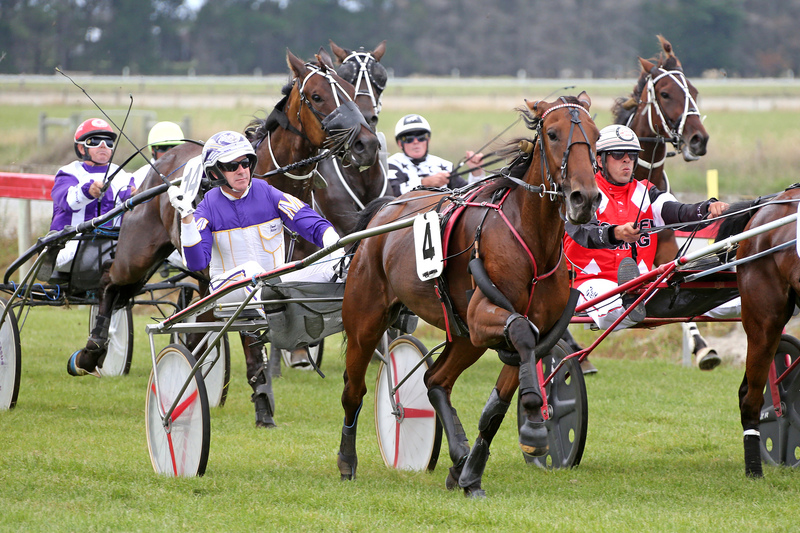 NZ Harness News photo. “She really let down when I asked her to run. That win followed up Miller’s victory on Show Gait for Regan Todd on Friday night at Addington. Incidentally both horses he has won with are three-year-old trotting fillies. Miller said he will head home with fond memories of his time here in New Zealand. 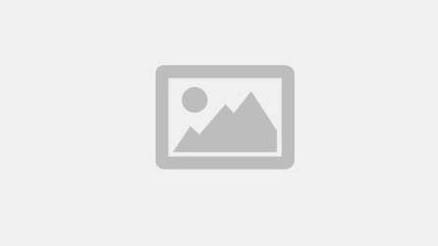 “I’ve had a fantastic time and met some great people and been lucky enough to drive some nice horses with good support from trainers and owners.